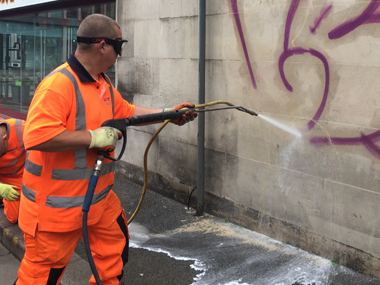 Broadmead retailers told us that cleansing standards must be set high and kept high. The BID has given us the resources to achieve this consistently. Basic standards are simply not good enough; the BID has raised the bar to a level that would be the pride of any retail area in the UK. Our rapid response teams ensure that the highest standards are achieved throughout the BID area – without BID funding significantly lower levels would be achieved.